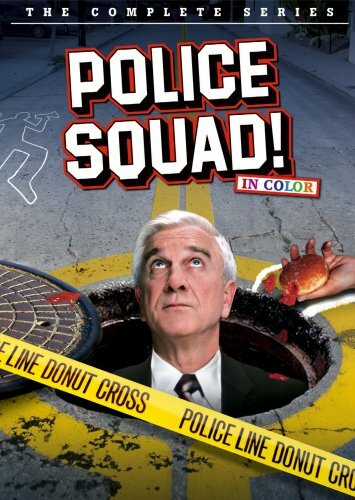 In light of Leslie Nielsen's recent passing, I would like to take a moment to remember his funniest moments on screen. 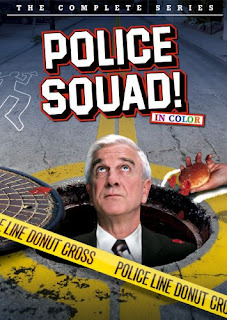 Though many will remember him as Frank Drebin from the Naked Gun films, very few seem to be aware that these films were based on a short lived TV-series by the name of Police Squad. And as always, the original is always better. Although much of the humor on the TV show was straight out slapstick, there was also a big dose of visual humor and puns as well, which made it quite special, even by today's comedy show drenched TV. For example: The name of each episode that was printed in big letters on the screen, would always be different to what a voice over said it to be. "Let's go out into the Japanese garden," someone would say, only to walk into a backyard where Japanese people stood planted in big flower pots. "Cigarette?" Frank Drebin would say in another scene, offering a smoke to a hot female suspect, which would look at it and say: "Yes, I know." Though the show is somewhat dated today, and some of the jokes are a little bit too silly, you can still rely on mr. Nielsen's stern faced responses to bring out belly-laughs. His white haired charisma became somewhat of an icon over time, and his "never take yourself too seriously"-attitude will be remembered for a long time to come. I remember watching these about 15 years ago. the "freeze" shot in the end of each episode, where all the characters would act like the film was paused, great. you could see their smiles fade, and some of them checking their watches.